Are you ready to book your session? Have more questions? Want to just say, HI! Let's chat! 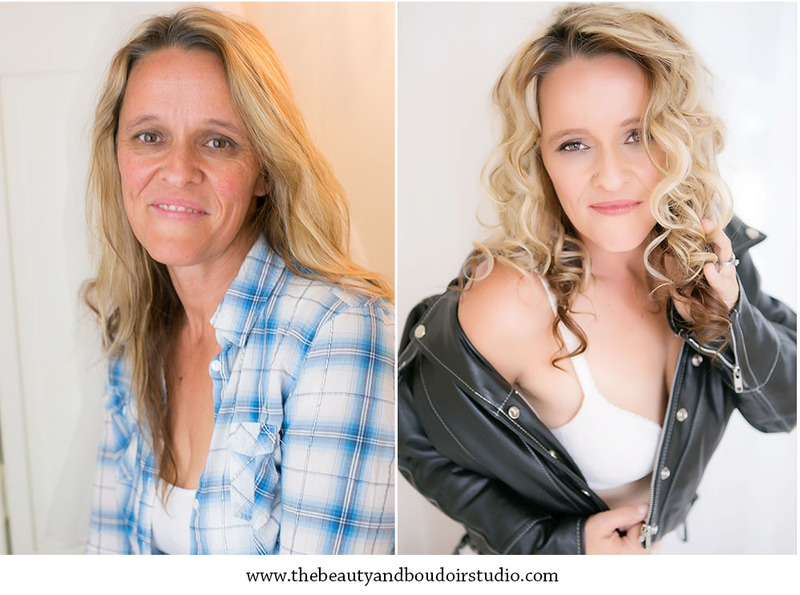 At The Beauty & Boudoir Studio, we encourage professional, in-studio hair and makeup services. The process and hair/makeup products used are advantageous to the results as well as your overall experience. When you know how fabulous you are, that confidence exudes from your photos. That confidence makes such a drastic difference in how you see yourself as well as how you photograph. It’s not only about how you look, but more importantly how you feel about the way you look. Confidence is truly a beautiful thing--confidence is what we all need. Confidence, self acceptance, and personality is what I bring out in the women I photograph. You are perfect now. It is my job to coach and find the model within you that I know is there. Some of us forget what it’s like to feel beautiful and strong along the way. We get to busy with our lives, our families, and our jobs. This experience is aimed for you to have those feelings again… because you truly are perfect right now. Want to know more? Let's chat!